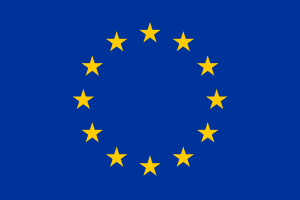 London Mining Network is a partner of the “Stop mad mining” campaign, which is an EU funded project with the main aim to promote sustainable and globally just production and consumption of raw materials, through awareness raising and advocacy work, and so contribute to the European Year of Development 2015. The project “Time for change: Promoting sustainable production and consumption of raw materials in the context of EYD 2015 and beyond” is based on the efforts of 13 international partners, with a special focus on new EU Member States. The project will take place between 2015 and 2017 and targets EU citizens, companies and decision makers through a wide range of activities. The “Stop Mad Mining” campaign is initiated within the framework of the European Year of Development 2015. It aims at creating the link between (over-) consumption of raw materials in Europe on the one hand, and poverty, human right violations, and environmental destruction in resource rich countries on the other hand. Our goal is to sensitise and mobilise citizens, politicians and companies around the dramatic impact of our consumption patterns on dwindling, non-renewable global resources, and how this in turn is impacting the life of people affected by the extraction of raw materials and climate change. 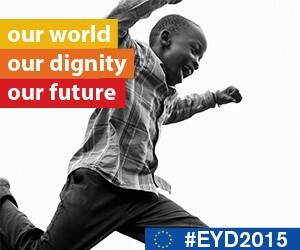 Join in with the European Year of Development 2015 at events across the EU, stay up to date with information and news on the official campaign website, join the conversation on Twitter (#EYD2015) and have your say on Facebook.